Family Lore: Charity: Who will consider Brexit’s impact on separating families & children? Charity: Who will consider Brexit’s impact on separating families & children? The impact of Britain’s exit from the EU on divorced and separating families and children has ‘barely registered at government level’, says a national family charity. Whilst lawyers have already had an opportunity to share concerns with the government about the legislative fall out of Brexit, National Family Mediation says no consideration has been given to the perspective of the ‘ordinary citizen’. 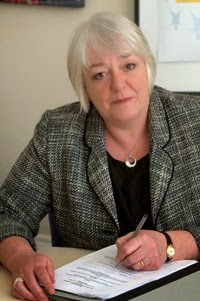 Jane Robey, the charity’s CEO, says: “UK residents have come to view the free access to the whole of the EU as simple and straightforward. They can choose to go and live in Europe for work, or for a different lifestyle. Most don’t consider themselves to be emigrating, or being very far from their extended families. Cheap and easy access to flights makes staying in contact easy. But Brexit is set to change all that. “The Justice Select Committee’s inquiry ‘Implications of Brexit for the justice system’ was right to invite comment from legal professionals. But moving forward it will be crucial to consider the perspective of ‘ordinary’ citizens too. “Whilst we’re in the EU, when a relationship breaks down they may make decisions for one person to return home to the UK with the children, viewing the maintenance of good post-separation parental relationships as fairly straightforward. “But what happens after Brexit? Changing boundaries and jurisdictions will create unforeseen obstacles. Will those families still enjoy the simplicity of maintaining their separated relationships and, more importantly, their relationships with their children? “It’s possible that children living in countries that remain in the EU will face significantly more challenges and barriers to maintaining contact with their UK-based parents as we disentangle from the EU. “Advances in the way British family courts manage applications for contact and residence for children mean there is now more emphasis on the children’s rights to see both parents. But Brexit could set family life back to pre-Children Act days. “Will we see 21st century living taking place elsewhere, with UK families plunged back to a 1950s-type insular existence, regretting the loss of our colonial loss of power? “Will it narrow and limit the next generation’s opportunities to travel relatively freely to access different cultures and work opportunities? “There’s a genuine danger we could see children thrown back to a time where access to one of their parents is much reduced, with immigration red tape a prohibiting factor to helping those children keep in touch. It could mirror the situation families currently face where the children have been removed to non-EU and non-Hague Convention countries. 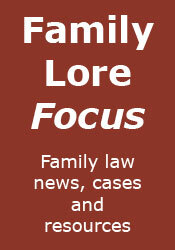 Absence of legal reciprocity means that too often children effectively lose one of their parents.